All well-preserved houses can roughly be grouped into three categories. The first and the largest one embraces nice carved houses lucky to have good owners; these houses are easily recognizable head-turners; they are trimmed, painted and cherished by people whom live in them. The second, lesser category includes buildings lucky to be in a wooden architecture museum or join a government program of wooden architecture preservation. As a rule, they are large and unique houses rich in decoration and history. If only they would fall into the first category,it would cost their owners a fortune and a headache to maintain them in good condition. The third and the most rare category covers multifamily wooden houses manage to save their appearance in spite of everything! 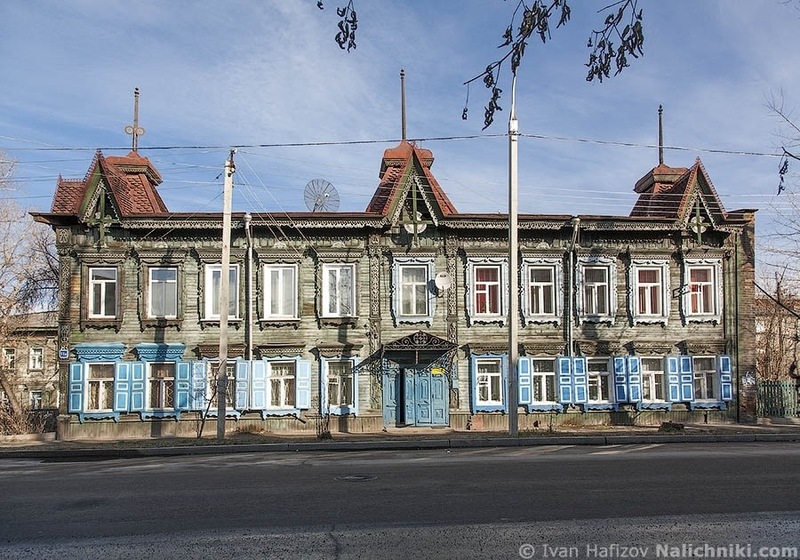 This beautiful multifamily structure found in Khabarovsk is just an ordinary wooden house having neither a relic status nor a cherishing owner.